Last chance to pass the Holden! 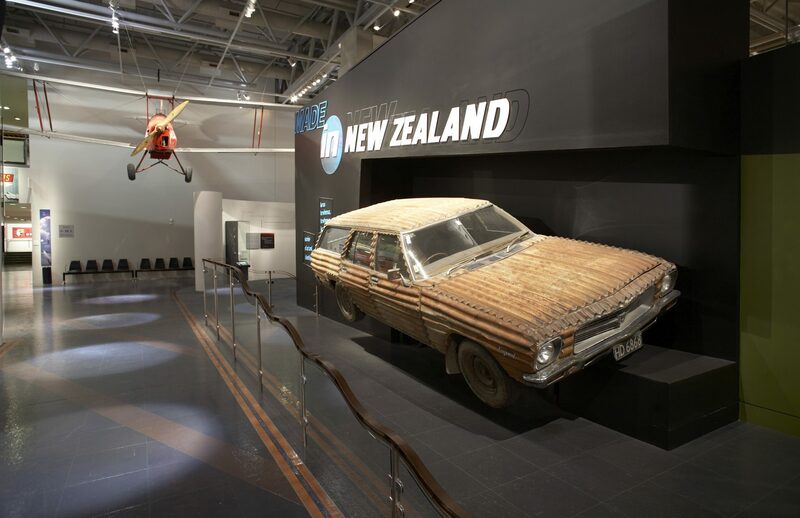 Jeff Thomson’s corrugated iron HQ Holden has been on display at Te Papa since the museum first opened in 1998 but, on Tuesday 25 May, the car will be moving to our collection storage area for a well-earned rest. HQ Holden station wagon, 1991, by Jeff Thomson. Image © Te Papa. The car is being moved so a new long-term history exhbition can be built on Level 4. The exhibition will focus on aspects of New Zealand’s 20th century history. Learn more about Jeff Thomson’s art works on Tai Awatea Knowledge Net. It will be in storage for the foreseeable future but we will be looking for opportunities to get the car out of the ‘garage’ as soon as possible! What will happen to the car? is it just gona sit in storage forever?? This was one of the first things we looked during our first visit to Te Papa when we moved to New Zealand 7 years ago. It brings back great memories each time we visit, and will be missed by our family.